Over the next year, Ishaq will be living and working in Washington, DC as SEED SPOT’s Measuring and Evaluation Fellow. Part of the Atlas Corps program, Ishaq is one of many skilled nonprofit professionals spending 12 to 18 months in professional fellowships at overseas organizations. 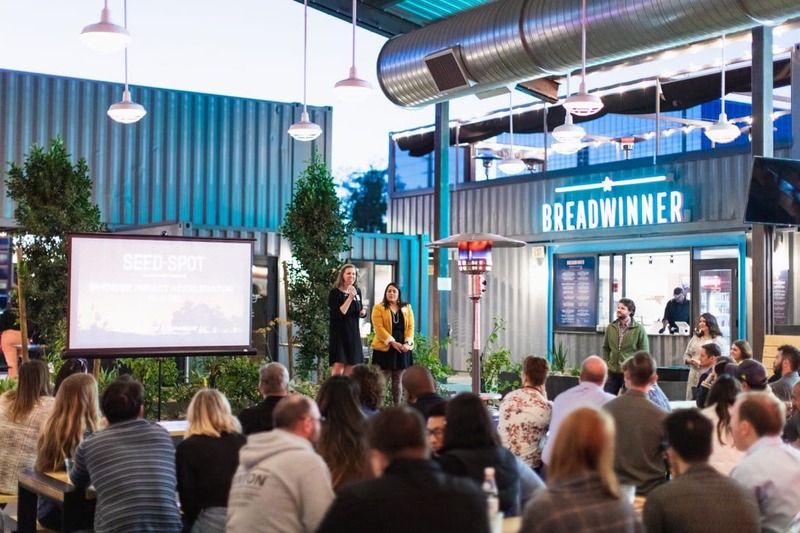 They are encouraged to learn best practices, build organizational capacity, and return home to create a network of global change makers. As our Measuring and Evaluation Fellow, Ishaq will bring his expertise designing surveys, collecting and analyzing data, and furthering our impact metrics. Well-versed in statistics, Ishaq will use descriptive and inferential analysis to determine the statistical significance of attributes like location and gender in pre and post entrepreneurial self-efficacy scores. 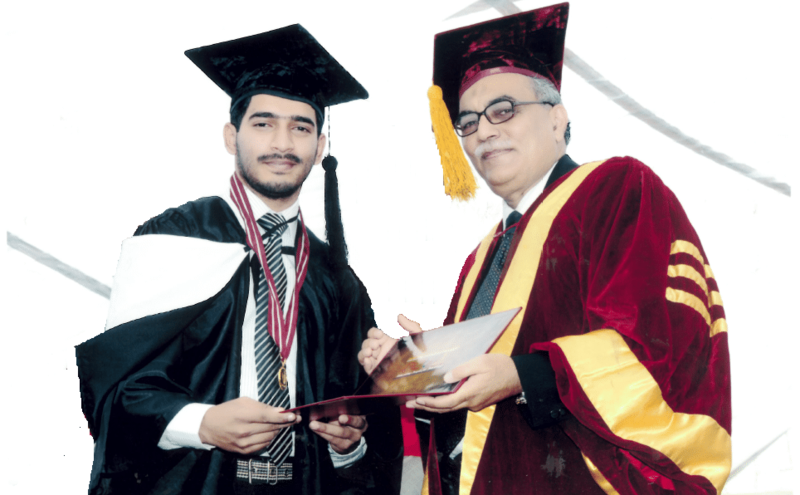 Ishaq’s aptitude for statistics began early in his home country of Pakistan. He studied statistics and mathematics at Government College University Lahore, one of the oldest and most prestigious education institutions in the Indo-Pak subcontinent. He earned an academic Gold Medal during his undergrad degree for securing the first position in his class. Four months before graduation, he started an internship (that transitioned into a full-time Monitoring and Evaluation Specialist position later on) with USAID Pakistan Firms project. He was responsible for designing and conducting surveys, creating databases, and writing reports about project activities in the agricultural and industrial sectors. He also stayed busy outside of work pursuing two Masters of Science degrees in Applied Statistics and Project Management from the University of Management and Technology. His hard work earned him academic distinctions, along with a Rector’s Award for highest GPA in the class. With the USAID project coming to an end, Ishaq found another job working for a large public sector organization overseeing Pakistan’s census data analysis. But before long, Ishaq began to miss the nonprofit sector and found another position with USAID Punjab Enabling Environment Project. This role allowed him to measure the impact of policy interventions, work with Chambers of Commerce in different cities across Pakistan, and monitor and evaluate the progress of the project in achieving its objectives. 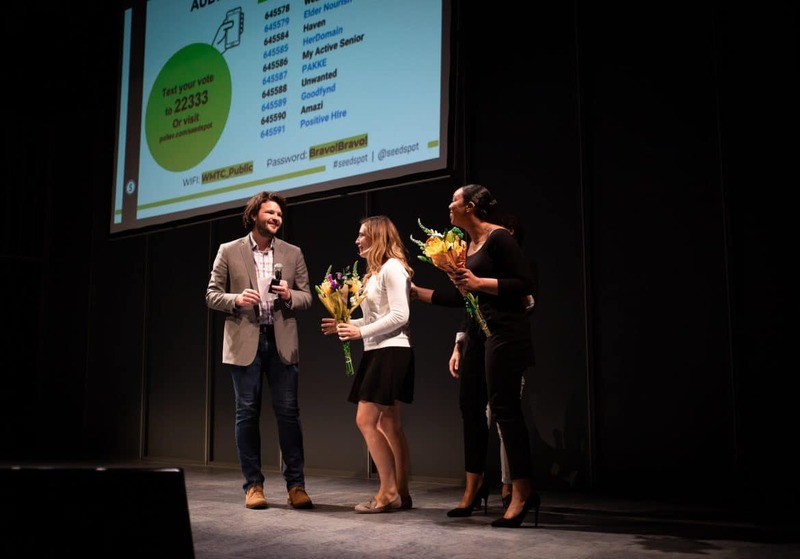 His hard work not only earned him a promotion, but the opportunity to become an Atlas Fellow. 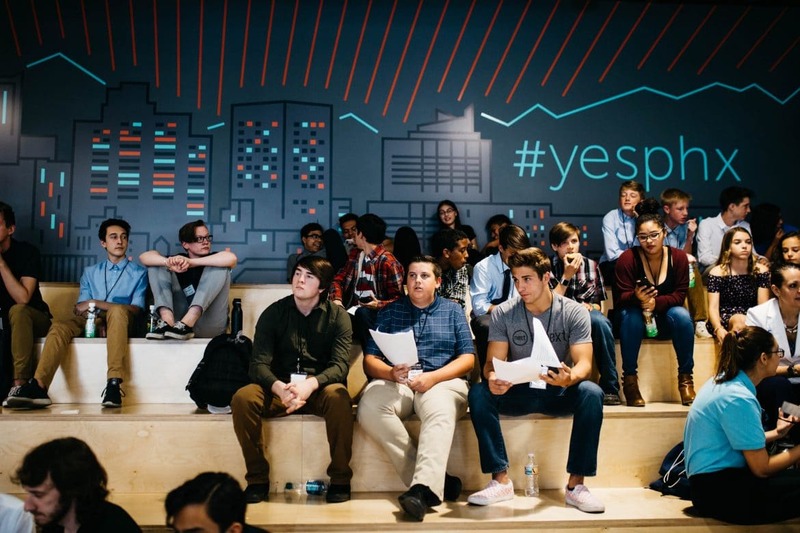 The application process was arduous – he had to fill out a form, write multiple essays, interview with Atlas Corps, get matched with SEED SPOT, interview twice with our team for a Measuring and Evaluation role, sort out his visa application, coordinate logistics, and hop on a flight to the east coast! Cultural differences aside, Ishaq plans to make the most of his time in the United States. In his free time he practices martial arts, exercises, sings, reads books, watches science fiction movies, and tries delicious new restaurants with friends based in the DC metro area. He also wants to travel to as many states as possible! When his Fellowship comes to an end, Ishaq wants to return to Pakistan, see his family, and continue working in the nonprofit sector and positively contribute to making the world a better place. 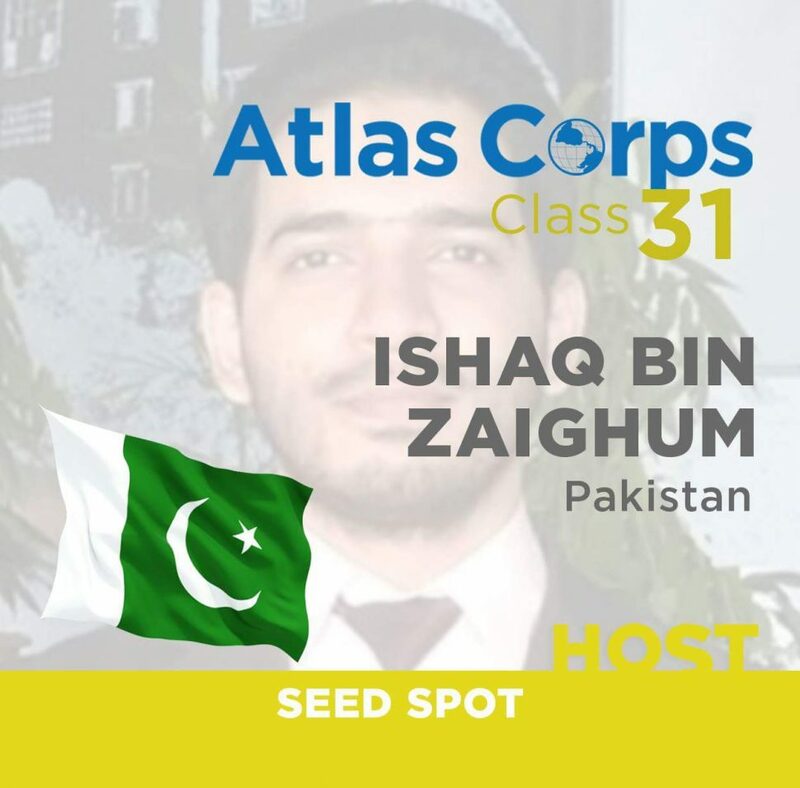 Since joining the team, Ishaq has developed databases to measure the impact of SEED SPOT’s work. This has streamlined the process to analyze the results for economic indicators and also to make projections on the basis of historical data. 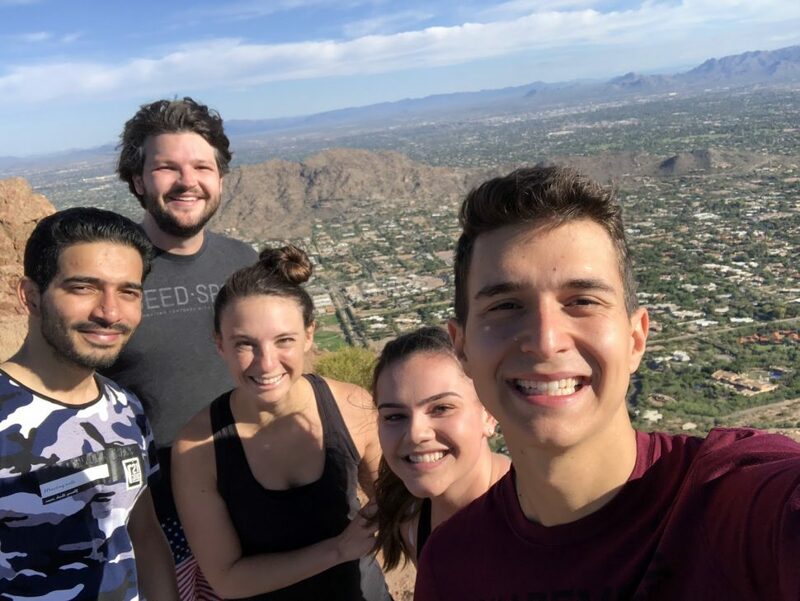 He shared his analysis of entrepreneurial self efficacy (ESE) scores in SEED SPOT partner schools at our October team retreat in Phoenix, and impressively scaled Camelback Mountain like a true Phoenician. Welcome to the team, Ishaq! We have already been so impressed with your work – we can’t wait to see what other impact you help us create!